Does sourcing in Taiwan carry the same business risks and challenges as in mainland China? Learn more about key differences of manufacturing in Taiwan vs. mainland China in this article! Which do you think has a higher density of industrial robots: Taiwan or mainland China? You might be surprised to learn the answer is Taiwan. While news headlines make it sound like mainland China is buying robots by the truckload (which to be fair, they are), the country still has a long way to catch up to Taiwan. According to the International Federation of Robotics, Taiwan ranks 10th in robot density in the manufacturing industry worldwide, while mainland China stands at 23rd. 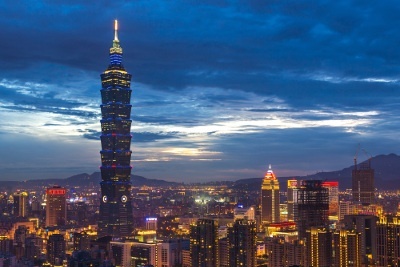 Taiwan (also known as the Republic of China) is often dwarfed by its neighbor across the Strait, whether in news headlines or business decisions. But as labor costs rise in mainland China, many importers have started to consider diversifying their sourcing efforts. Taiwan offers importers a well-developed, advanced manufacturing climate worth considering. Many importers struggle to understand exactly how Taiwan differs from mainland China (not to include Hong Kong) in terms of manufacturing opportunities. Does “Made in Taiwan” have the same reputation as “Made in China”? Does sourcing in Taiwan carry the same business risks and challenges as in mainland China? Let’s break down some of the key differences between Taiwan and mainland China’s manufacturing industries and take a look at the comparative advantages of each. It’s true that just about anything can be “Made in China”. But being a much smaller economy, Taiwan is more specialized in a smaller number of industries. Before you bother comparing the competitive advantages of Taiwan and mainland China, it’s worth first considering whether it’s feasible to manufacture your product type in either region. Mainland China is more known for consumer goods adorned with that ubiquitous “Made in China” label. While Taiwan is more known for producing intermediate goods. These goods are used as inputs in the production of other goods, rather than being sold directly to end consumers. 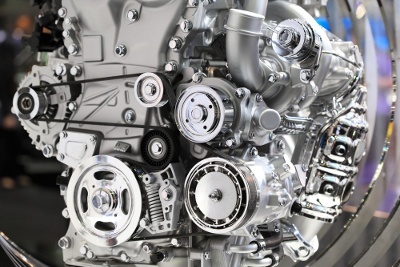 Think car engines—a consumer doesn’t go to a car dealership to buy a car engine. Instead, they typically buy the whole car. The engine and other major components are intermediate goods. These are parts the manufacturer sources from various sub-suppliers and assembles into the finished product the end consumer purchases. An average of 78.5 percent of Taiwan’s exports from 2006-2012 were intermediate goods, while only 20.3 percent were consumer goods. In comparison, intermediate goods only composed around 42 percent of mainland China’s total exports in 2014. 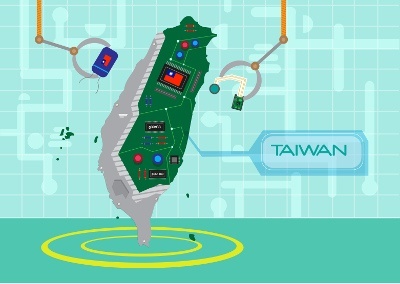 Many of Taiwan’s intermediate goods include electronic components, machinery and machine tooling equipment. As you’ll see below, these are some of Taiwan’s largest manufacturing industries. Taiwan might not be your best choice if you’re looking to manufacture something labor-intensive like ready-made garments. While mainland China is considered one of the top four Asian regions for garment manufacturing. Then again, manufacturers in the electronics, machinery, plastics and medical devices industries often find Taiwan to be an attractive alternative to mainland China. 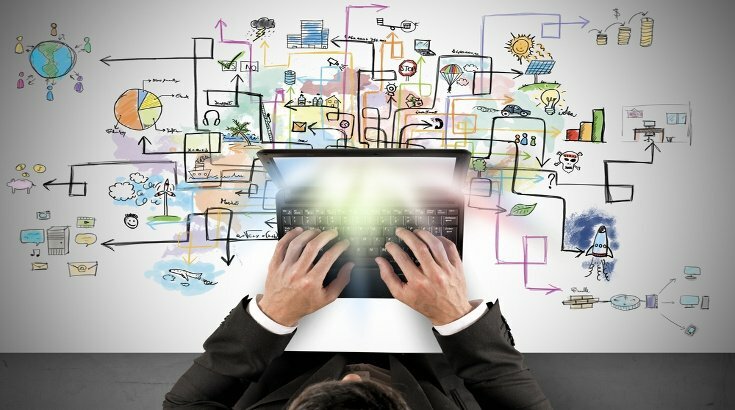 Many of the above industries are the target of Taiwanese governmental initiatives and investment. The Tsai Ing-wen administration has identified five “pillar industries” as part of their “5+2 Major Innovative Industries” policy: smart machinery, biomedical, Internet of Things (IoT), green energy and defense. Each industry will receive an influx of funding from a pool of NT$100 billion (US$3.3 billion) to build research facilities and infrastructure and support innovation and R&D growth. Part of the intended goal of the initiative is to curb Taiwan’s dependence on trade with mainland China over time. Importers sourcing from Taiwan are likely to benefit as their suppliers advance their production capabilities and adopt new machinery and technologies. Mainland China is also promoting similar smart manufacturing goals through the Made in China 2025 initiative. But Beijing’s ambitious plan is set on a longer path to realization. The Chinese government has set a long-term goal of becoming a global competitor in advanced manufacturing by 2049. In the short term, Taiwan’s factories are better poised to start implementing IoT and Industry 4.0 solutions given already high levels of automation. Is manufacturing cheaper in Taiwan or mainland China? After determining production feasibility, the second most common consideration for manufacturers is often “how much is this going to cost me”? For years, Taiwanese manufacturers have been moving across the Strait to take advantage of mainland China’s lower labor costs. Estimates put the number of Taiwanese firms with operations in mainland China around 70,000. But those cost advantages have slowly diminished, as labor costs in mainland China continue to rise year after year. Some Taiwanese manufacturers have even relocated to Taiwan, deciding Chinese labor is no longer cheap. This trend could signal an advantage for importers choosing to manufacture in Taiwan. Still, Taiwan’s national minimum wage is more than double Shanghai’s minimum wage (the highest in mainland China). As mainland China doesn’t have a set national minimum wage, Taiwan’s minimum wage may be as much as five times higher than that of some smaller, less developed regions of the mainland. Productivity is just as important as wages when considering costs. Productivity in manufacturing can be measured by the rate of output per unit of input. One commonly used measurement of productivity is GDP per capita, adjusted for purchasing power parity (PPP). This measures the total output of goods and services per each member of the workforce. Data from the International Monetary Fund (IMF) shows Taiwan is almost three times as productive as mainland China. A higher GDP per capita also usually translates to a higher standard of living and economic growth. Taiwan ranks among advanced economies like Germany and Australia for GDP per capita. While mainland China’s figure places it among such developing countries as Thailand and Mexico. But labor costs and productivity aren’t the only important considerations for business costs, both monetary and otherwise. Despite rising labor costs in mainland China, there hasn’t been such a mass exodus from the mainland as you might expect. Many importers continue to source from mainland China, in large part, due to the unique value the region offers global supply chains. Production doesn’t happen in a vacuum. The factory you hire to manufacture your product has their own network of buyers, sub-suppliers, component manufacturers and distributors that all contribute to the final product. And mainland China has the largest network in the world. As a buyer, you can benefit from working with suppliers participating in a large network of factories manufacturing one specific product type. 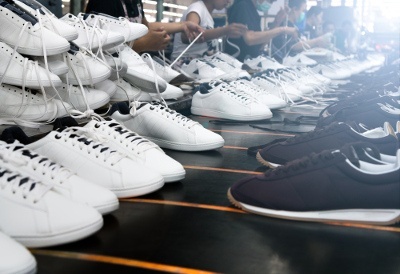 Imagine a Chinese shoe factory with ten buyers all requesting similar style shoes. Factories producing more products can buy raw materials and components in greater quantities, and in turn, at lower prices. This translates to lower overhead costs, larger profit margins for suppliers and lower costs for you, the buyer. Taiwan has production clusters too, particularly in its main industries. But China’s cluster advantage is unmatched in its scale and minute specialization of production ranging from footwear and textiles to machinery, furniture, household appliances and more. An economy’s internal production networks are important, but so is its global network. Due to Taiwan’s controversial diplomatic status, its position in global trade can be shaky at times. 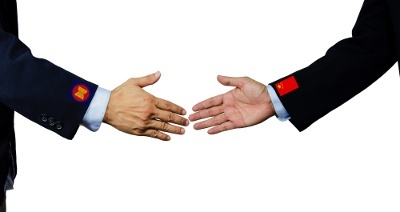 Taiwan is often limited to negotiating bilateral agreements with countries on an individual basis, which some trade partners avoid due to political pressures from mainland China. In fact, mainland China now has 16 free trade agreements (FTAs) signed and in effect with key partners including countries in the Association of Southeast Asian Nations (ASEAN) and Australia. Taiwan only has seven, mostly with diplomatic allies in Central America. South Korea, a key competitor of Taiwan, also has 16 FTAs, including such key partners as the United States, the European Union, Canada and ASEAN. Taiwan is also left on the sidelines of many trade talks within the Asia-Pacific Economic Cooperation (APEC), ASEAN and Trans-Pacific Partnership (TPP) forums due to restrictions from the mainland government. While APEC is one of the few forums both Chinese and Taiwanese officials attend, Taiwan’s president is still forbidden to attend APEC meetings. Instead, Taiwan can only send a lower-level “envoy” politician. What does this mean for importing from Taiwan or mainland China? If you’re from one of the lucky countries that share a free trade agreement with China, you might see lower import costs from mainland China than Taiwan. Your suppliers in mainland China might also be able to find sub-suppliers and source components and raw materials from ASEAN countries more cheaply and easily. As mainland China’s global presence continues to grow in years to come, it might also shape the agenda of global trade norms through multilateral institutions to benefit its own industries. Mainland China’s formalized forum with ASEAN through the ASEAN+3 meetings (ASEAN plus China, South Korea and Japan) undoubtedly helped the formation of a free trade agreement among them. With ASEAN a growing manufacturing destination in its own right, this could become increasingly important as labor costs in China continue to rise. While mainland China’s supply chain networks make it an attractive destination, one of Taiwan’s main trump cards lies in its ease of doing business. Not only does Taiwan rank better than mainland China, but Taiwan is also a leader in East Asia in this regard: only Singapore and Hong Kong rank higher overall than Taiwan on ease of doing business in East Asia. 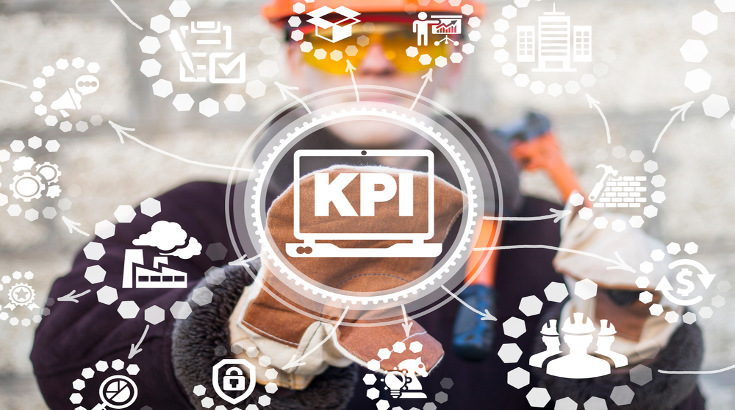 Other metrics considered in the overall rank include important considerations for manufacturers like paying taxes, obtaining credit, enforcing contracts and getting electricity. Meanwhile, mainland China ranks 10th overall in East Asia for ease of doing business and is also eclipsed by common manufacturing destinations like Malaysia, Thailand, Vietnam and Indonesia (ranked 4th, 5th, 8th and 9th, respectively). While mainland China often scores higher than developing countries like India and Bangladesh on these metrics, Taiwan’s wide lead still represents a major advantage. So while you might find cheaper prices in mainland China, you might find manufacturing in Taiwan is better for your peace of mind, lead times and trade-related overhead costs. 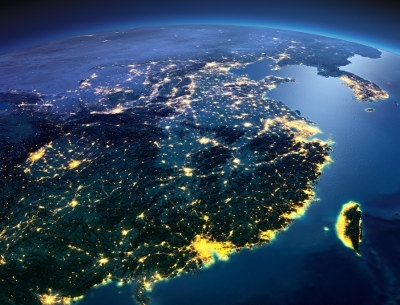 What about visiting your suppliers in Taiwan or mainland China? If you plan to visit your suppliers, as is often helpful for developing strong supplier relationships, you might find it is easier to visit Taiwan than mainland China. Citizens of the United States, United Kingdom, European Union, Canada, Australia and many other countries enjoy visa-free travel to Taiwan. In comparison, all citizens of the former countries must acquire a visa prior to arrival to travel to mainland China. You might also find that Taiwan is a more manageable foreign destination to visit. Compared to the massive landmass that is mainland China, with its many distinct regions and levels of economic development, Taiwan is only around 14,000 square miles (36,200 square kilometers). Visiting your supplier can help distinguish your business from the many other purchase orders Chinese and Taiwanese factories juggle on a daily basis. The manufacturing industries in both Taiwan and mainland China are undergoing significant changes as investment flows in to promote smarter, more advanced production. It’s an exciting time to get in on the action on both sides of the Strait. 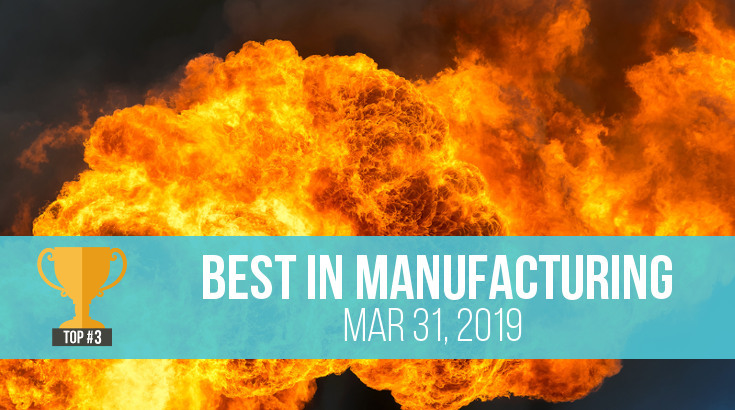 Regardless of where you choose to source your products, managing product quality is often one of the most commonly cited challenges of importers manufacturing abroad. When importing from Taiwan and mainland China, you’ll be facing language barriers, cultural differences and all the usual challenges of a buyer-seller relationship. 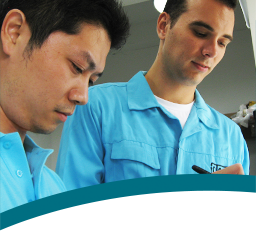 Conducting a pre-shipment quality control inspection can help ensure your product meets your specifications, whether you’re manufacturing in Taiwan, mainland China or elsewhere in Asia (related: 4 Ways Importers Conduct Product Inspections [eBook]). And remember, if you fail to clearly set expectations and clarify requirements, you’re liable to end up with a poor quality product no matter where you source. What other questions do you have about the differences between manufacturing in Taiwan and mainland China? Share your questions and views in the comment section below!